From being touted as the natural evolution of the global finance industry to becoming the go-to weapon for hackers when it comes to launching ransomware and cryptocurrency mining attacks, the fall from grace for cryptocurrency has been nothing short of spectacular. After smartphones, government agencies and tech companies like Tesla, hackers have now turned their attention to cryptocurrency millionaires, brazenly robbing one unlucky guy of his crypto fortune in a new kind of cyber attack involving cryptocurrencies. 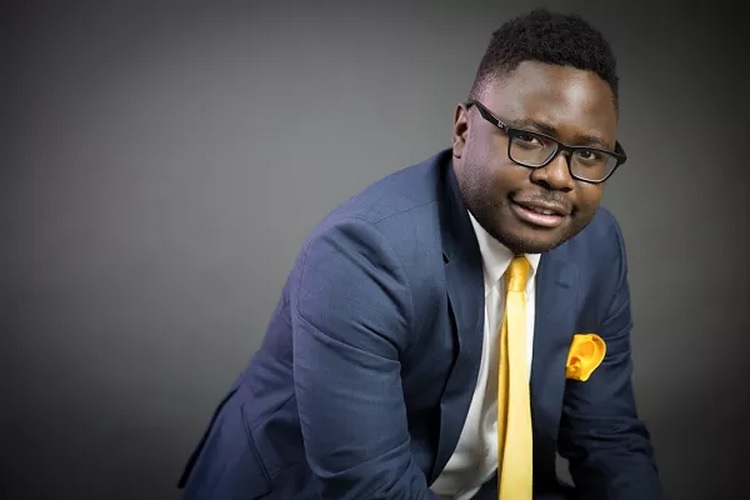 Ian Balina, a renowned cryptocurrency investor, advisor and evangelist who was famous for his YouTube videos where he reviewed cryptocurrency trends, has been robbed of around $2 million during a livestream session. The cryptocurrency theft apparently happened during one of Balina’s YouTube live streams, when a viewer commented that all cryptocurrency tokens have been moved out of his wallet by someone. “Ian, do you know that somebody transferred all your tokens from your account? Hope that it’s controlled movement”, read the ominous comment from an account named DABusiness. It appears that the victim did not take notice of the comment and continued his live stream for the next 15 minutes before it ended, apparently due to a power cut. A few hours later when Belina returned to resume his review session on YouTube, he noticed that he has been signed out of his Google Sheets profile. He later revealed through his Telegram channel that he had to end his live stream because he was hacked. 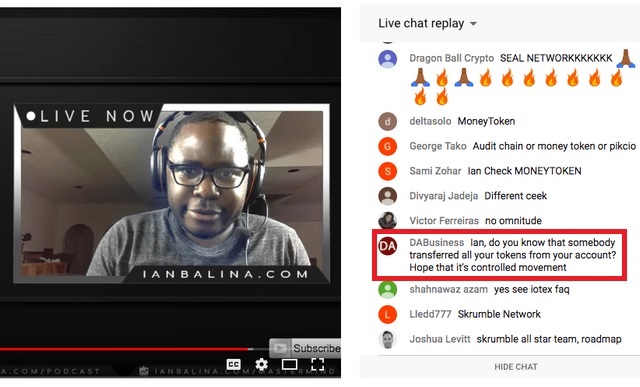 It was later discovered that all of Balina’s tokens were transferred from his account to another crypto wallet during the live stream, with the heist costing him over 20 million Nucleus Vision, 2 million Pareto Network, and 1 million Loom coins among other crypto denominations. This is how I think I got hacked. My college email was listed as a recovery email to my Gmail. I remember getting an email about it being compromised, and tried to follow up with my college security to get it resolved, but wasn’t able to get it handled in fast manner and gave up on it thinking it was just an old email. I kept text versions of my private keys stored in my Evernote, as encrypted text files with passwords. I think they hacked my email using my college email, and then hacked my Evernote. Balina later revealed the details of the hacker’s Ether wallets from which funds were funneled, and asked his 116,00+ YouTube subscribers, over 26,000 Telegram channel members and followers on all other platforms in helping him track down the culprit.